AKLEG Recap, Week 8: Back on track or out of whack? The Legislature is nearing what’s normally the final sprint of the 90-day session with the pieces coming together on the budget, but there’s still plenty of ways for things to unravel quickly. 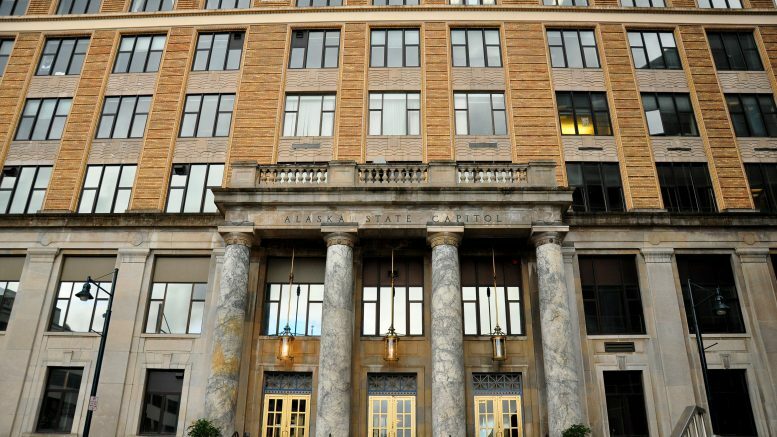 The Legislature will start this week with a full 60 members and an hour lost thanks to the daylight saving time (If there was only some way the Alaska Legislature could fix this). Here’s what happened and what to look forward to. 45 days to go (and 20 days left to apply for your PFD). With the swearing in of Rep. Tiffany Zulkosky brought the Alaska Legislature to its full 60 members on Friday, bringing the number of women serving in the Legislature to its highest ever at 19. Importantly for the House Majority Coalition, Zulkosky brings the caucus’ membership to a safe vote total of 22. The coalition has been limping along the last few weeks as sickness, illness and vacancy have put the caucus on the edge of the votes needed to get things done. The House has been kicking significant pieces of legislation, like the fast-track supplemental budget, down the road until it has a guaranteed 21 votes (it’s been at 20 with the vacancy and Rep. Ivy Spohnholz recovering from a serious illness). With Zulkosky and the planned return of Spohnholz today (Rep. David Guttenberg is expected back sometime this week after suffering a medical emergency last Thursday), the House should be able to return to work in earnest today. That’ll be particularly good news for Majority Leader Chris Tuck, who saw a personal piece of legislation go down in a rare failed house floor vote last week. He’ll have another chance to get House Bill 152 passed this week. With 21 votes in hand, expect the House Majority Coalition to begin moving quickly on budget bills. We’ll see the fast-track supplemental and likely the operating budget reach the floor before the end of the week. The House Finance Committee wrapped up most of its amendment work on the operating budget last week, approving a few extra million dollars in spending while rejecting dozens of what they said were flawed amendments put forward by Rep. Tammie Wilson and the rest of the minority Republicans. Still, we ought to expect a lengthy floor debate that’ll reach well into the night with another opportunity to amend the operating budget. It’ll be interesting to see how much control the House Majority Coalition can muster over its members to oppose the amendments because there were quite a few that were on the edge of passage in the House Finance Committee. This week will mark a month since the Parkland high school shooting that left 17 students and school staff dead, perhaps that’s enough time for, as Rep. Lance Pruitt said at the time, emotions to settle and for there to be a discussion on gun violence. The House Judiciary Committee certainly thinks so and has scheduled multiple hearings this week on a bill that would create gun violence protective orders. The committee has reopened public testimony at its 1 p.m. and 7 p.m. hearings today as well and will be holding a third meeting on the bill at its 1 p.m. Wednesday hearing. The legislation would set up a way for immediate family and law enforcement officers to ask a judge to take a way the guns of someone who is at immediate risk of injuring themselves or others. It’s a bill that will in all likelihood have a much bigger impact on Alaska’s suicide rate and domestic violence cases than mass shootings. Like with most controversial bills to come through the House Judiciary Committee, the legislation has a good chance of being snagged up in legal what-ifs and whataboutisms. Meanwhile, the Senate Judiciary Committee will be charging ahead with anti-abortion legislation with hearings on Sen. Cathy Giessel’s Senate Bill 124 and Sen. Donny Olson’s Senate Joint Resolution 14. SB 124 is the bill that would require doctors to deliver a fetus they think might be viable outside the womb when considering an abortion so it could be put up for adoption. SJR 15 would permit state law to set up parental notification for minors having an abortion. SB 124 is scheduled to be heard at the committee’s three meetings this week, which will bring the bill’s hearings to a total of five in the committee. That’s at the very least a fair bit better than the Senate Health and Social Services Committee, which held just a single hearing on the bill before advancing it. SJR 14 will only be heard on Friday. The Senate wanted to avoid having a big discussion about adding a “government check” to the Alaska constitution when it rejected Sen. Bill Wielechowski’s efforts to advance SJR 1 out of the Senate Judiciary Committee, but the House Majority Coalition is more than happy to entertain the idea. Rep. Chris Tuck’s House Joint Resolution 23 is set for a public hearing today at 1:30 p.m. in the House Finance Committee and will have a follow up hearing on Tuesday. The resolution, if approved by 2/3rd vote of the House and Senate, would put on the ballot an constitutional amendment adding the permanent fund dividend to the constitution at a minimum of $1,250. The effort is almost certainly destined to amount to just political theater, but it’ll keep dividend politics alive and well in the Legislature. Associated Press reporter Becky Bohrer checked into the status of Senate Bill 63, the smoke-free workplace bill that’s been sitting in Rep. Gabrielle LeDoux’s Rules Committee for most of session. It’s still stuck and there’s not much sign of it moving. Be the first to comment on "AKLEG Recap, Week 8: Back on track or out of whack?"